Just the one book this week! I’ve been good! I got this one for 50p in my local used bookstore. Its an amazing place, I didnt want to leave! It was the first time I’d been in there and Im gunna hazard a guess that it isn’t used a lot! I did try and give the guy more than 50p but he wouldnt have it even though the books in great condition! I want a bookstore like that! My local one is cozy and cute, but they never have any of the popular books in so I’m forced to buy online. They’re super expensive as well. Oh, Mortal Engines! I tried to read that years ago, but failed miserably. I’d forgotten all about it, but I’ll have to add it to my list! Awesome bookstore! 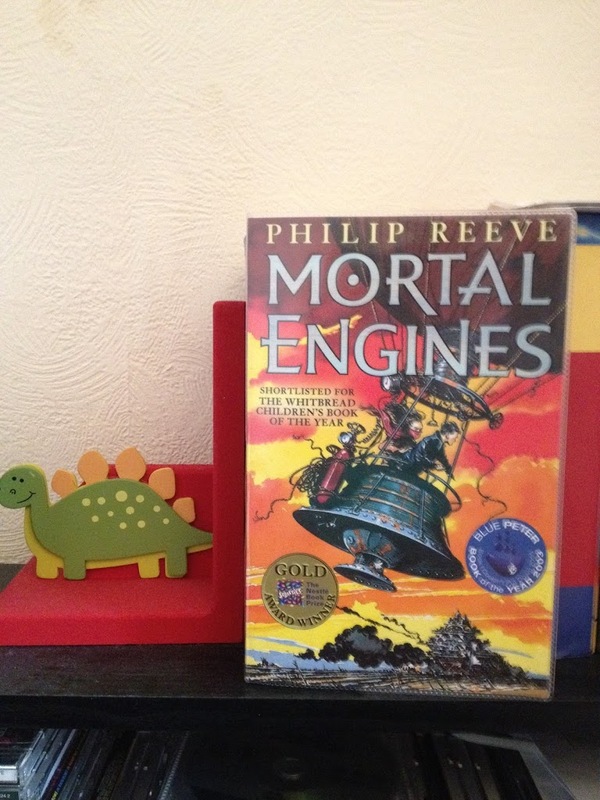 I wish there was a used bookshop near me 🙁 Mortal engine looks good, enjoy! My bookshelves are starting to look more like a bookstore every week! I think I have a proof of this one somewhere! Great pictures. Don’t you wish you could cover your walls in bookshelves like this bookstore? 50p is a great deal! I lived in England from 94-98 and don’t ever remembering finding a book for that cheap. You went in there and got just one book! Well done. I know I can’t go into my second-hand store and come out with just one. Hope you enjoy Mortal Engines! Great week! Hope you enjoy your book.